Today, I am happy to announce the general availability of real-time streaming datasets in Power BI. 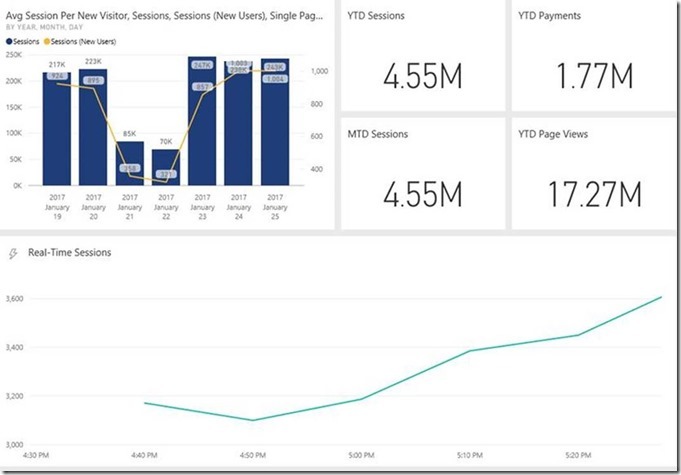 This feature set allows users to easily stream data to Power BI via the REST API, Azure Stream Analytics, or PubNub, and to see that data instantly light on their dashboards. Since we announced public preview earlier last year, we’ve been delighted to see thousands of users across a dozen industries leverage these capabilities to gain insights and take action on their data, right as it happens. As part of this news, I am also happy to announce the general availability of Azure Stream Analytics outputting to Power BI streaming datasets. This feature allows users to build streaming tiles on top of datasets pushed to Power BI by Azure Stream Analytics, while still supporting all existing functionality (e.g. using the dataset to build reports). These streaming tiles augment the existing Stream Analytics to Power BI workflow by enabling support for highly requested scenarios such as showing latest value, and showing values over a set time window. See our previous post for further details and a step-by-step walkthrough. For the rest of this blog post, we’d like to shine the spotlight on a set of innovative and inspiring deployments of Power BI real-time streaming. Read on to see some exciting examples of real-time data in action! TransAlta is Canada’s largest renewable power generation company, operating over 70 power plants spread across the globe. TransAlta uses Azure Stream Analytics in conjunction with Power BI to facilitate real-time data collection and monitoring for its power generation facilities. 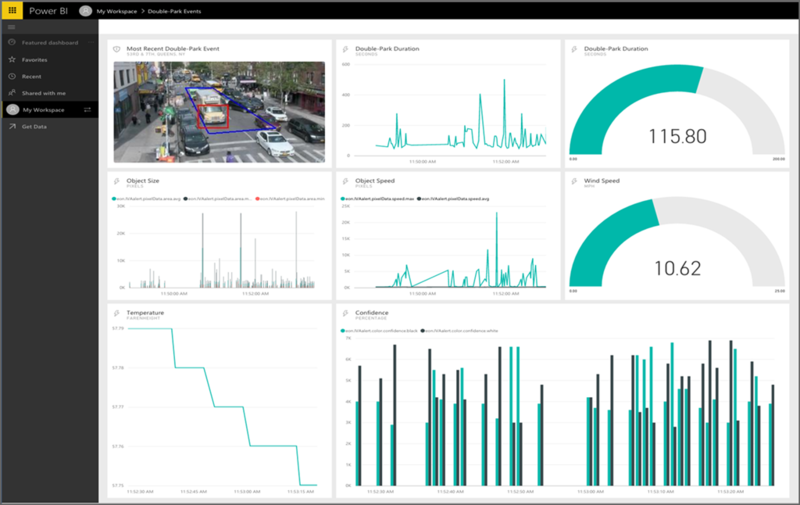 Azure Stream Analytics provides the ability to perform engineering calculations on streams of data in-flight, while Power BI is leveraged to display that data in real-time to technicians and engineers in the field. Piraeus Bank S.A. is a Greek multinational finance service company with hundreds of branches across Europe. Piraeus Bank uses Power BI streaming datasets in together with Azure Stream Analytics, to understand the key metrics of their web banking solution in real-time. In addition, the solution also provides the flexibility to allow for historical analysis on different times scales when the need arises. “Power BI delivers actionable events that help us understand how our platform evolves and needs to adapt, so that we can provision our service for different scalability needs and loads,” says John Raptakis, Head of Remote Banking in Transactional Banking Systems at Piraeus Bank. IntelliScape.io uses Power BI and PubNub together to implement real-time dashboards for its Curb Utilization Analytics solution, which leverages video analytics to capture and understand traffic patterns in real-time. Data flows seamlessly from curb-side camera to intelligent video analytics software to Power BI, allowing modern cities to get up-to-the-second updates on traffic events as they unfold.